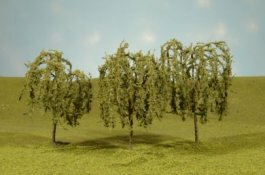 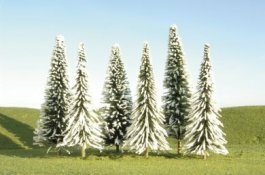 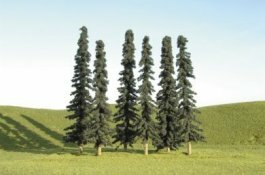 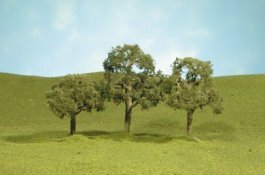 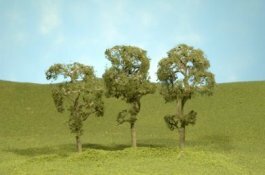 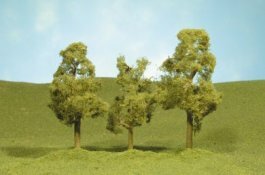 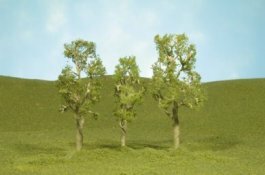 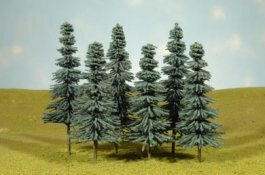 Bring your urban or countryside railroad to life with realistic SceneScapes® trees by Bachmann. 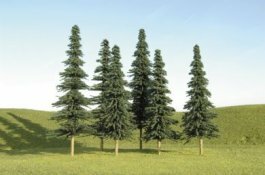 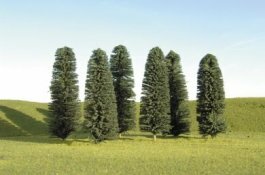 Create your own grove or blanket a hillside in dense forest with deciduous and coniferous trees offered in a variety of sizes. 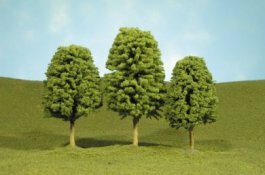 Though suitable for all scales, the most common size/scale association is denoted in parentheses after each description (N, HO, or O). 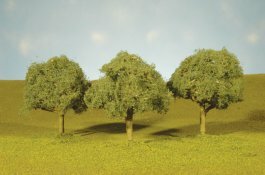 Please note the number of trees per box may vary from the photos as shown. 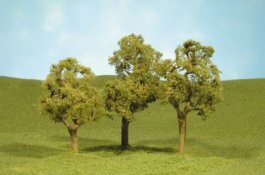 The number of trees contained in each box is also indicated in the product description.